The design of your e-commerce store matters more than you think. With an attractive storefront, you will be able to attract more visitors to your store and convince them to check out all the products you have to offer. That’s why it pays off to create a mockup of your store’s design in a program like Photoshop before you get it up and running. An e-commerce Photoshop template is the perfect way to prevent wasting hours on a redesign or design tweaks; not to mention it saves you time because you don’t have to start from scratch. 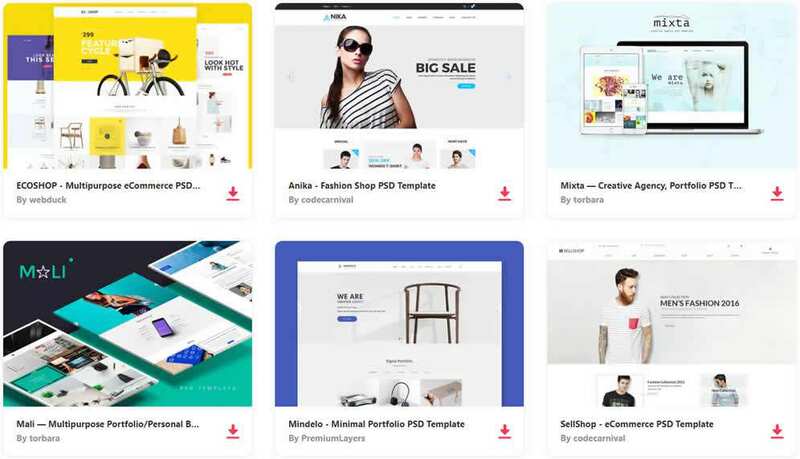 Luckily, there are numerous free e-commerce and shopping PSD templates available online and we’ve rounded up the best in this post. 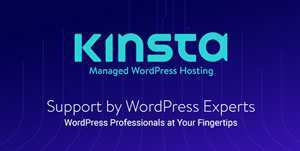 We also have free portfolio PSD templates, free landing page PSD templates, free design agency PSD templates and free blog & magazine PSD templates. If you’re looking for a complete PSD web template round-up, take a look at this post. 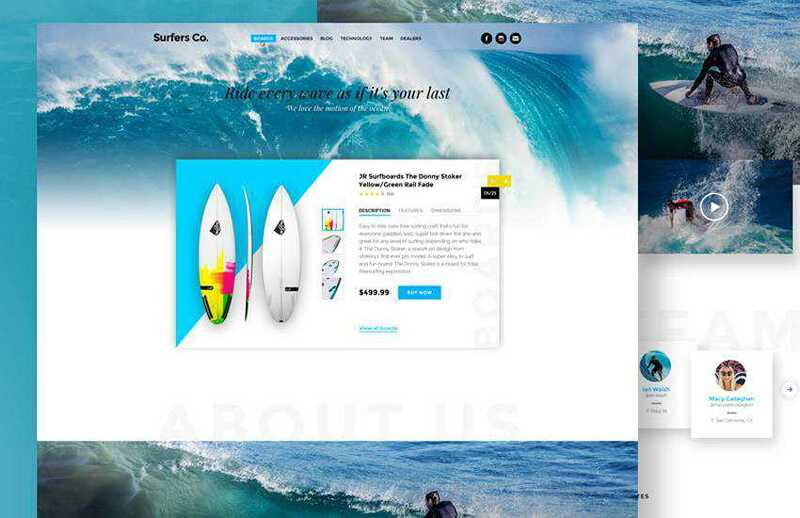 The first template on the list would be a perfect choice for a surfer shop or any shop that sells beach items. The template features a modern and bright design that’s perfect for a summer vibe. It also includes a layered file that’s based on 1170px Bootstrap grids. 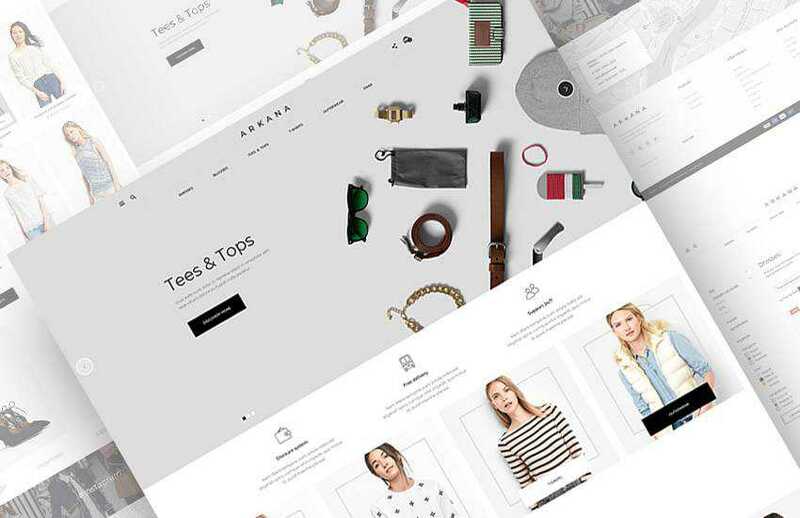 If you’re trying to launch a fashion store, then check out the Avenue Fashion template. It features an elegant design and comes with 6 different product pages that you can experiment, modify, and tweak to come up with a unique store design. 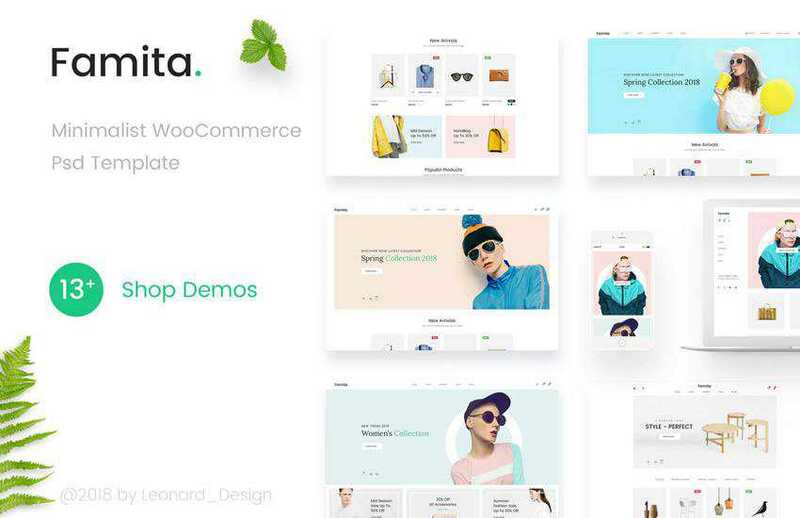 The Famita template features a minimalist design with bright elements that capture visitors’ attention and direct them to where they need to go. The Famita is a versatile template that can be used for food shop as well as a fashion or furniture store. 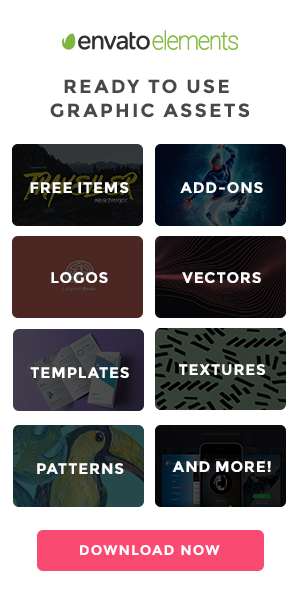 You’ll find 13+ different templates and well-organized PSD files. Sell more of your baked goods with this bakery Photoshop template. 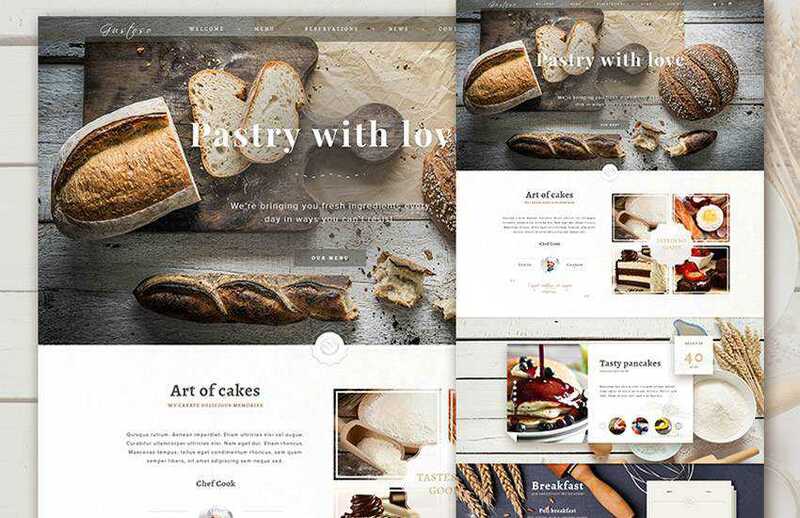 The template has a large featured image that’s perfect for showcasing baked goodies and pairs well with the rest of the template’s minimal design. Consider the Tanner Collections template if you’re looking for a modern and stylish design. This template features a neutral color palette and gorgeous bold typography. The file is well-organized and includes a help file with links to the fonts used. 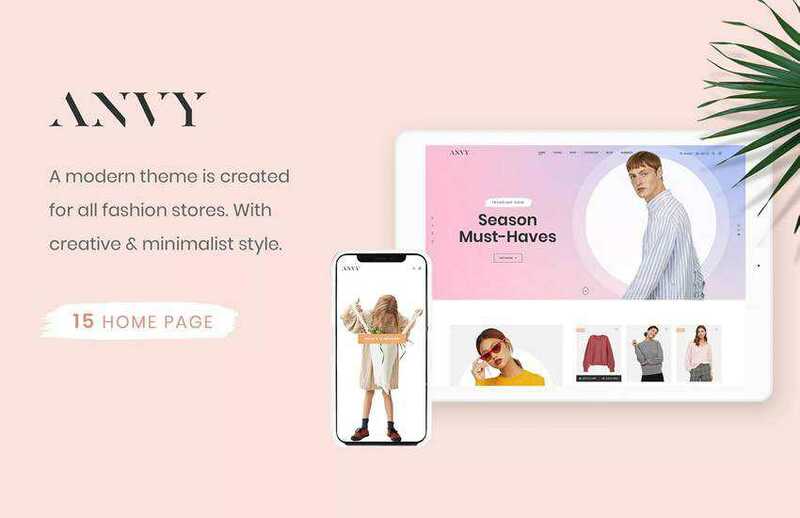 The Anvy template is perfect for any online store that caters to a female audience. 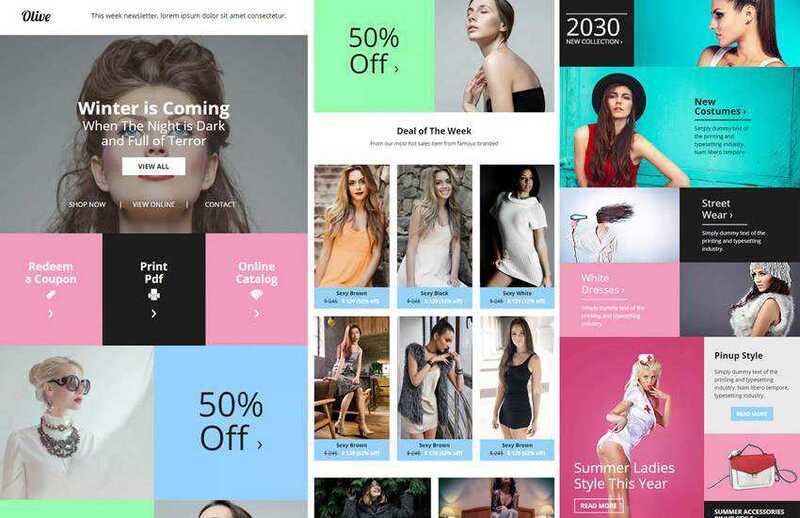 It offers 15 different homepage designs and a minimal, elegant style that can be used for fashion, furniture, or stationery store. It includes layered files that are easy to edit. 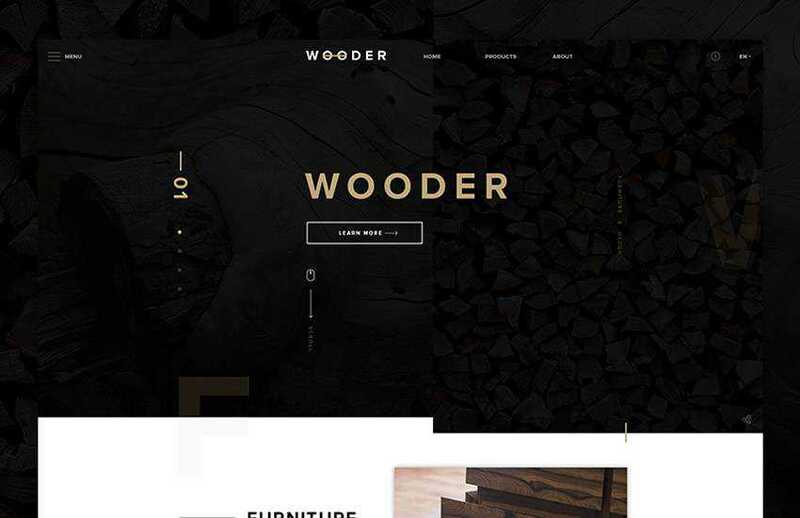 The Wooder template is a great choice for a furniture store, as the name suggests. It features an elegant dark color scheme that makes the images stand out even more. Pair that with elegant typography that makes it easy to spot calls to action and you have a truly awesome e-commerce Photoshop template. 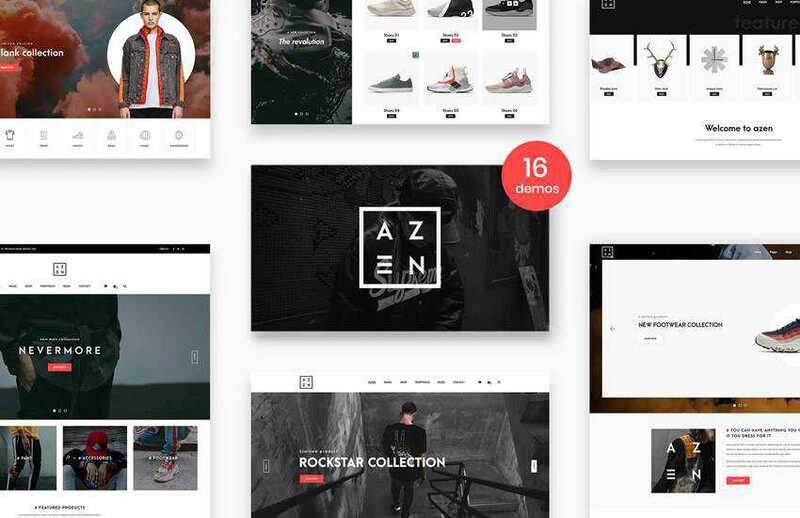 The Azen template is another clean and minimal e-commerce template with a versatile design. As such, you can use it for fashion, furniture, handmade, or any other type of store. It includes 16 homepage designs and a grand total of 56 Photoshop files. Try the Shoply template if you want a minimal yet bold template. This template would be perfect for a shoe store or a sporting goods store. It features bold calls to action and includes a well-organized layered file. 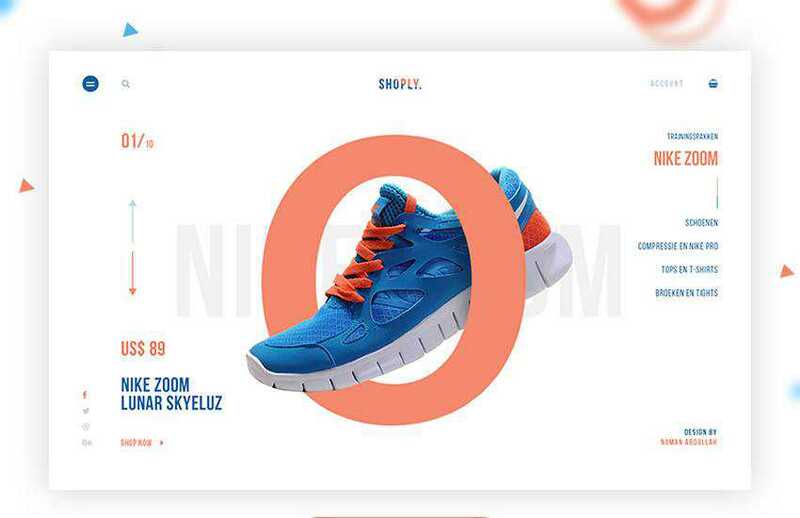 The Sneakers template is another great template for a shoe store or a sporting goods store. This template contains complete editable PSD set, complimentary vectors, and icons that were used during the design process. 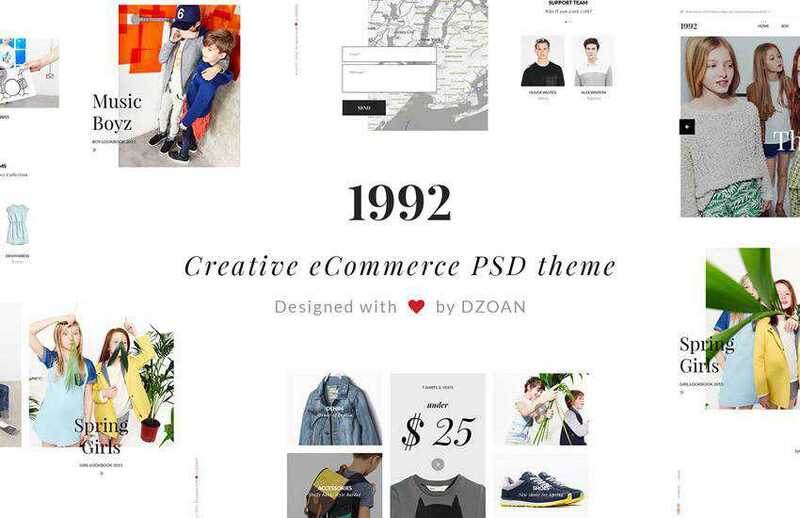 Designed with clothing stores in mind, the 1992 Creative e-Commerce template features a clean and simple design. 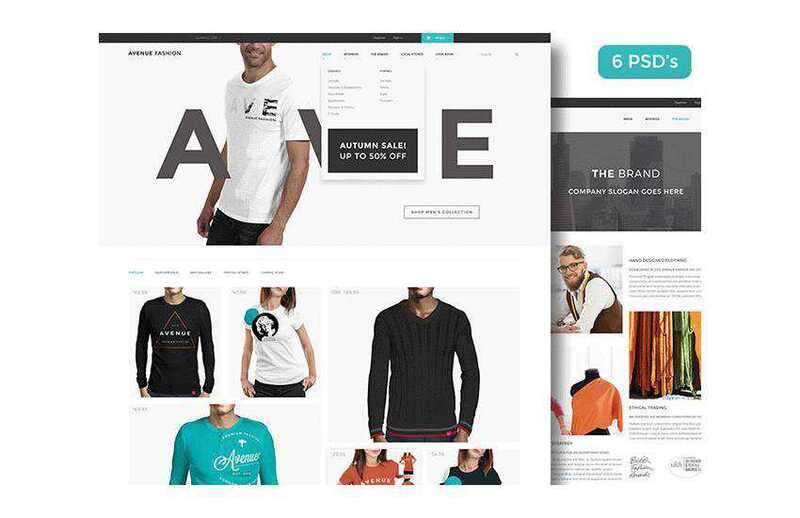 It comes with a choice of 5 different homepage designs and a total of 16 Photoshop files to help you design all the necessary pages for your store. 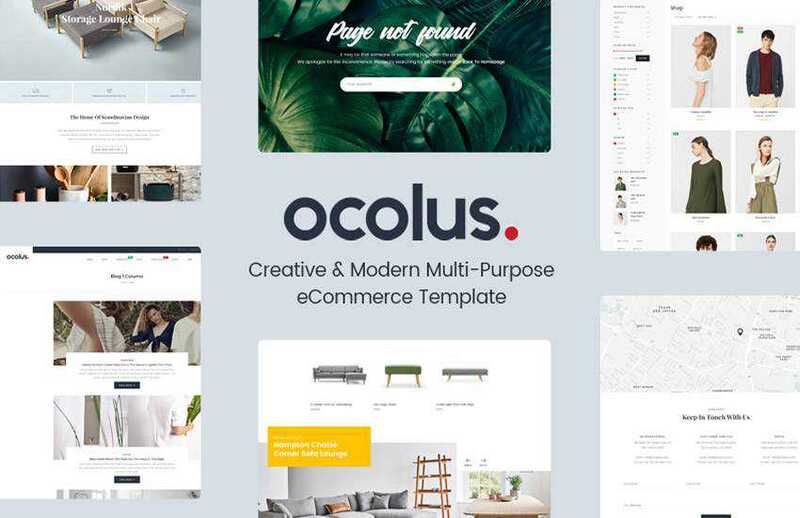 Oculos is a multipurpose template that can be used for a variety of stores. It features a modern design that’s easy to customize and it’s based on 1170px grid system. The template includes well-organized Photoshop files and editable shapes. The Roneshopbee template comes in a layered Photoshop file and features a simple and clean design. It has a black and white color scheme but you can easily customize it to better suit your brand. 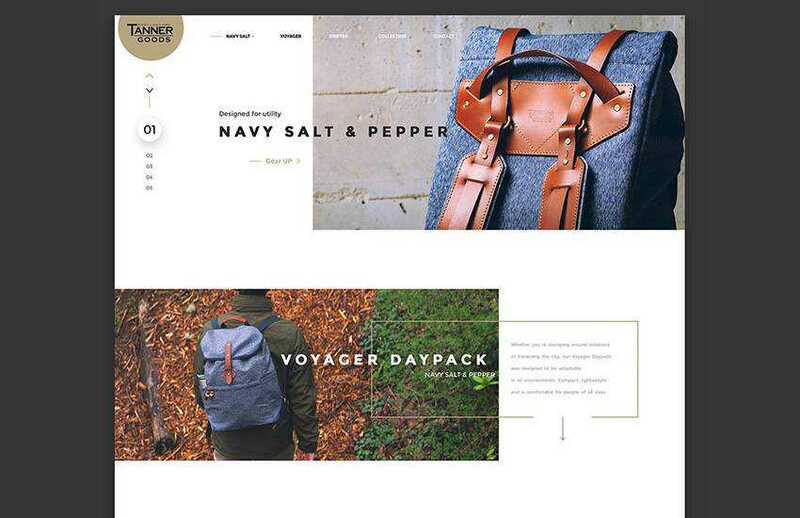 Try the Olive template if you’re looking for a newsletter template for your store. You can use this template with your preferred email service provider to make sure communications from your store are on brand. The Arkana template makes it easy not only to see your most popular products but also leaves plenty of space on the homepage to display your store’s policies and contact information. You’ll also benefit from a noticeable Google Map so your customers can easily find your store. 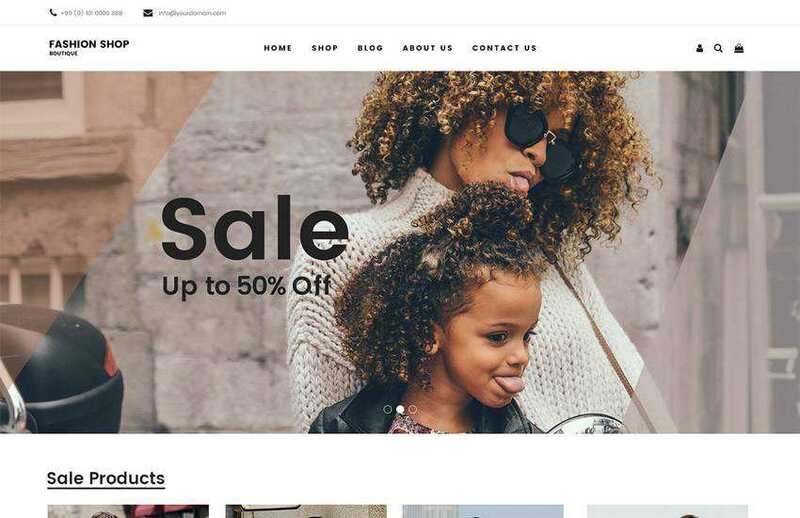 This free Fashion Shop template grabs visitor’s attention with the large header image and makes it easy to draw attention to your store’s policies, contact information or most popular products. You’ll receive a layered Photoshop file that’s easily editable. 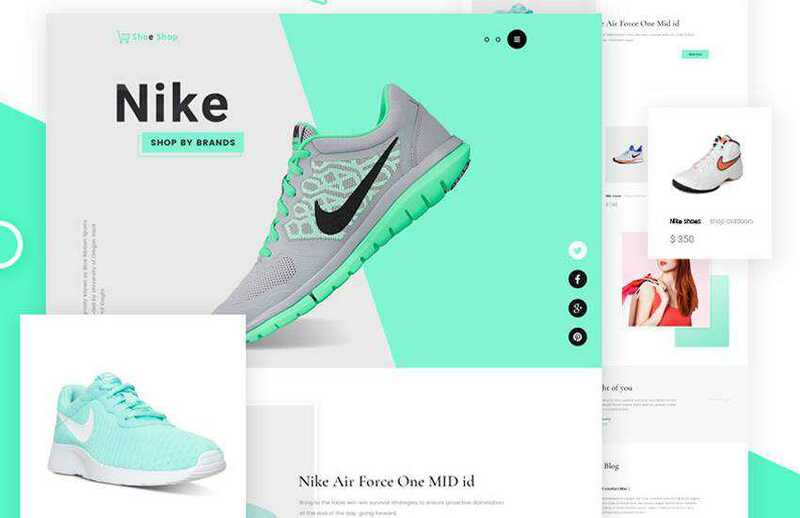 These cool e-commerce templates for Photoshop will allow you to create a stunning e-commerce design as well as help you save time during the design process. Use them as inspiration or download them and tweak them to your liking to create a unique online store for any niche.